I’ve had a number of interactions with former students in recent weeks. These have mostly been positive – and have included lots of praise and thanks for the content of my classes several years ago. (This is one of the main rewards of the job, so I’ll enjoy it while I can). This delayed gratification contrasts with the monitored and measured world of ‘student satisfaction’ we operate in. We can judge our satisfaction with a purchase or with a meal or film – but how is a student to assess their satisfaction with their teaching? If my only goal was student satisfaction I’d set easy, explicit assignments and give high grades – a guaranteed route to high student satisfaction scores. Yet education is not a shopping transaction, it’s a long-term investment. Satisfaction has to be assessed at different stages as its rewards are not always immediate. Graduates rarely make use of the lessons we teach them in the early years of a PR career, but those lessons become more valuable as people climb the career ladder. The distinction between immediate satisfaction and long-term returns is very similar to the discussions we have in public relations about measuring outcomes, not outputs. Nor are long term outcomes from education only to be assessed through earning power (though this may be a useful measure). It’s too easy to overlook the lessons to be learnt from failure (‘fail fast and fail often’). One of the former students who expressed satisfaction with her long-ago classes never even completed her degree course. She’s now working in a digital communications role. Is she a success or a failure? It depends on the measures you choose to apply. It’s that time of year again. I’m holding conversations with students, receiving emails and this blog has new visitors searching for answers to common questions. In an attempt to help, here’s a simple two-step guide to dissertations for public relations students. Choose a broad topic, based on your interests. At this stage, it could be celebrity, social media, evaluation or dozens of others. Then check that your topic is covered in recent textbooks (eg Theaker, Theaker and Yaxley, Tench and Yeomans to name a few). The relevant chapters in these books should give you a start, and point you to dozens of further sources (books, articles, news reports etc). If you can’t find a chapter on your topic, you may struggle to develop a good literature review, so perhaps should think again. Some students view the dissertation as a chore. But it’s one of the few things you will take away from your course to show for your efforts, and it can differentiate you from other graduates at job interviews. So it’s worth doing well. You’ve given a guest lecture. You’ve run one or more classes on an hourly-paid basis. If you still want more and hanker after greater security (tenure), then the next step is to consider a permanent academic post. It looks very alluring: there are agreed limits to your teaching hours; you’re encouraged to conduct your own research and get it published; and you have the chance to shape the team and faculty through management roles. Permanent academic roles are still very attractive, but they’re becoming more scarce and competition is increasing. So here’s what you need to know. To prepare your CV and to hone your interview skills, you need to play to your strengths. Which of the following are you strongest in? A permanent job is a dynamic mix of all three, and it’s a rare individual who’s equally good at all three. So first decide where you’re strongest and develop a narrative around this. Next, you need to cover the other areas. Academics who are primarily interested in research are often bored and frustrated by classroom teaching. Those who prioritise teaching and scholarly activity have less time for management and admin. It’s worth considering, too, that there’s no future in only focusing on teaching (it won’t get you promoted). All of the more senior roles (principal lecturer, head of school, associate dean etc) involve taking on more management. Professorial roles are reserved for those with the highest rated research (that brings esteem and funding to the institution). So you need to think through your professional development before applying for an academic post. What relevant practice experience do you have? What ambitions do you have to become a research academic? What enthusiasm do you have for the day job (classroom teaching). What contribution will you make to management in an increasingly audited world governed by league tables, external scrutiny and student satisfaction? If it all sounds too burdensome, then here’s a glimmer of hope. Universities are offering more fractional jobs and are open to job sharing arrangements. So your first academic post could be a part-time role alongside your existing work. This should be an ideal arrangement. Your work as a practitioner gives you credibility in the classroom; you can offset the steadiness of one role against the commercial ups and downs of the other; and a part-time role shouldn’t mean you’re overburdened with teaching and admin duties. The challenge, though, is that you’ll be juggling ever more roles and responsibilities. The teaching may be timetabled, but the emails are non-stop and clients are always demanding. But if you’ve worked in the public relations field, you’re a natural multitasker, right? I read this often in student essays. It’s a consequence of teaching that offers multiple perspectives and encourages independent thought on the practice and profession. But if public relations can’t be defined, then how do you explain the existence of so many different definitions? 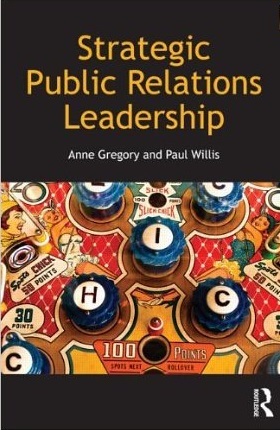 The evidence suggests that it’s too easy to define public relations, not too hard. It’s so easy you can have a go yourself (many students, practitioners and lecturers do). If the purpose of PR is to generate publicity, then this simplifies matters. We can scrap the professional bodies, end most PR qualifications and merge the PR and advertising industries. Professor Tom Watson argues here that there are two industries living unhappily together: a publicity business and a strategic communication business. So what’s the purpose of strategic communication? Many would argue it’s legitimacy (and I agree): it’s about organisations retaining their ‘licence to operate’ in a complex world in which competitors, customers, politicians, activists and the media can all turn on an organisation in full public view. This legitimacy business (it goes beyond reputation) sounds important; it should be professional. 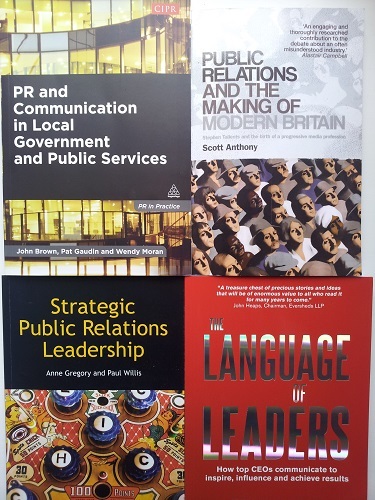 This leads us to the intriguing prospect of a high calibre contest for the CIPR presidency between a practitioner who writes (Stephen Waddington) and an academic who talks to practitioners (Dr Jon White). Their discussion, sparked by another blog post by Tom Watson asking if the CIPR isn’t past its sell-by date, already has 80 comments on LinkedIn. It’s an important debate, and it’s good to see engaged academics mixing it with intelligent practitioners.